Recycling – Recycling stations are located behind the Safety-Service Complex. Please recycle responsibly and be sure all recyclables are placed in the bins and not in areas outside of the recycle bins. Visit the Geauga-Trumbull Solid Waste (gottagogreen.org) website for more details.. Refuse – Refuse and recyclables are collected every Tuesday, except on holidays when collection is delayed one day. Refuse and recycling containers should be placed at the curb no earlier than 6 p.m. on the day before collection, but no later than 7 a.m. on collection day. For more information, call 614-901-6740. Resident Rates (Parks and Recreation programming) – To receive discounted resident rates, Westerville residents are required to present identification such as a valid driver’s license, photo ID card, utility bill or pay with a check with an address printed by the bank. Individuals employed full time in the Westerville City Limits will need to provide proof of employment on company letterhead with the signature of the personnel director or president or a current paycheck with their employer’s name and address along with a valid driver’s license. Road Projects – Click here or call Westerville Planning and Development at 614-901-6650. Safe Call – This is a free, daily telephone check-in service for the homebound, elderly and residents with disabilities. A computer-dialed phone contacts registered citizens daily. For more information, call the Westerville Communications Division at614-901-6790..
Safety City – Safety City is a two-week program held each summer for local children preparing to enter kindergarten. Seat belt, electrical, school bus, fire, gun, traffic, water and personal safety issues are discussed. Sponsored in part by the Westerville Kiwanis Club, the cost is $45 for residents and $50 for nonresidents. For more information, call 614-891-6140. Schools – For information about the Westerville City School District, call 614-797-5700 or click here. Security Systems – Westerville residents and businesses installing burglar alarms/security systems are required to obtain a permit available from the Police Records section or from the alarm system sales person. There is no cost for a residential alarm permit, but service fees will be charged for more than three false alarms during the same calendar year. Call 614-901-6450. Senior Center – The Westerville Senior Center, located at 310 W. Main Street, is open to people 55 years of age and older and their spouses. For more information, or become a member, call 614-901-6560. Senior Citizen Check-In – See Safe Call. Senior Transportation – Transportation is available for members of the Westerville Senior Center to and from select locations within Westerville school district boundaries. User donations are encouraged. For more information, call the Westerville Senior Center at 614-901-6560. Service Requests – Click here to submit service requests online. Sewer (Waste Water) Service – Westerville obtains sewer service from the City of Columbus. Residents are billed for this service monthly as part of their Westerville utility bill. Sewer usage is based upon water consumption. Westerville maintains the sewer system within the City Limits. Residents with questions about their bill should call 614-901-6430. Residents with sewer problems should call the Westerville Public Service Department at 614-901-6740. Signs – Westerville’s zoning ordinance governs the location, size and number of advertising signs. Permits are required and signs may not be placed in City rights-of-way or on poles. For more information, call Westerville Planning and Development at614-901-6650. Snow Removal – All major arterial and collector streets are salted when snow and ice depth are less than two inches. All City streets are plowed when snow is deeper than two inches. If more than three inches fall, a snow emergency automatically goes into effect and cars parked on streets must be moved or they will be towed. Call the Westerville Public Service Department at614-901-6740 for additional snow removal information. Street Maintenance – The City performs pavement maintenance on roads within the City Limits on a schedule that is established based on funding and condition. For more information, click here or contact the Westerville Planning and Development Department at 614-901-6650. Storm Drainage – For questions or concerns relating to storm drainage, contact the Westerville Public Service Department at614-901-6740. Swimming Pools (Municipal) – An indoor swimming facility is located at the Westerville Community Center, 350 N. Cleveland Avenue. Call 614-901-6500. Highlands Park Aquatic Center (HPAC), the City’s outdoor swimming complex located at 245 S. Spring Road, is open Memorial Day thru Labor Day. For more information, call 614-901-POOL (7665). Tax (Income) – Westerville’s income tax rate is 2.00%. 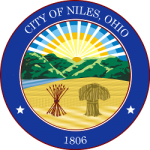 The mandatory tax filing policy requires all adult residents (18 years of age and older) and businesses within Westerville City Limits file City income tax returns. Click here or call 614-901-6420. Tax (Property) – The City of Westerville does not collect property taxes. County governments collect property taxes on behalf of all taxing districts within their borders. For more information, contact the Franklin County Auditor’s Office at 614-525-4663 or the Delaware County Auditor’s Office at 740-833-2900. Tornado Sirens – Tornado sirens in Westerville are controlled by the Franklin County Emergency Management Agency and tested each Wednesday at noon. When the weather authority issues a tornado watch (conditions are right but none have been spotted), no alarm will sound. When the weather authority issues a tornado warning (an actual tornado has been sighted) the siren will sound for three minutes and shut off for seven minutes. This sequence will continue until the immediate danger has passed. There is no “all clear” signal. Traffic Engineering – Call 614-901-6665 to discuss any Westerville pedestrian, speeding, traffic congestion, traffic cut-through, traffic signal operation or parking concerns. Traffic Sign/Signal Repair – Call the Westerville Public Service Department at 614-901-6740 to report missing traffic signs. Call Westerville Planning and Development at 614-901-6670 to report malfunctioning traffic signals. Call the Westerville Division of Police non-emergency number at 614-882-7444 to report missing traffic signs or non-functioning traffic signals, which could cause accidents. Traffic Tickets – Parking tickets and moving violations issued by the Westerville Division of Police are paid at Westerville Mayor’s Court, 21 S. State St.
Trash Collection – Yard waste is collected every Monday, while refuse and recycling are collected every Tuesday. When a holiday falls on a Monday or Tuesday, collections are postponed one day and then return to the normal collection schedule the following week. Trash (Large Item Disposal) – Residents can place most large items, including stoves or furniture, at the curb to be picked up with trash on collection day. Items that cannot be collected by law include those containing EPA-monitored refrigerants, such as air conditioners and refrigerators. These items must be disposed of using outside vendors. For more information, click here or call the Westerville Public Service Department at 614-901-6740. Trash (Christmas Tree Disposal) – Trees are collected at the curb on regular yard waste collection days after Christmas. Trees must be cut into 4-ft. lengths and wrapped with string to bring the branches closer to the base. Trees should not be placed in plastic tree bags. Please remove all garlands and decorations. For more information, click here or call the Westerville Public Service Department at 614-901-6740. Tree Planting & Replacement – The Westerville Shade Tree Commission controls the planting and removal of trees in the tree lawn (the area between the street and sidewalk). For information about which trees may be planted in a particular tree lawn, contact Westerville Urban Forestry at 614-901-6598. Tree Pruning – Trees in the city tree lawn (the area between the street and sidewalk) are trimmed by City crews to provide 10-ft. clearances from sidewalks, 12-ft. clearances from streets, and 16-ft. clearances from major thoroughfares. Individual property owners are responsible for trimming any trees located on their private property that hang over sidewalks or streets. For more information, contact Westerville Urban Forestry at 614-901-6598. Tree Storm Damage – Upon notice, the City will remove any tree or limb from a street tree that has fallen during a storm. Call the Westerville Parks Maintenance Division at 614-901-6590 between 8 a.m.- 4:30 p.m. or the Westerville Division of Police non-emergency number at 614-882-7444 after 4:30 p.m. to report such occurrences. Private property owners are responsible for removing trees or branches that fall from their property onto any public or private property. Tree Trimming & Electric Lines – To ensure public safety, the Westerville Electric Division trims and removes trees near live electrical lines, whether on private or public property. For more information, call the Electric Division at 614-901-6700. Utility Services – Electric and water services are supplied by the City of Westerville, while sewer treatment and refuse services are provided by the City of Columbus and Rumpke, respectively. Charges for all four services are billed at the end of each month and due on the 15th of the following month. Rate information for each service is available upon request or on our website at www.westerville.org. Utility Billing customer service staff is located at 64 E. Walnut Street and is available from 8 a.m. – 5 p.m., Monday through Friday, to answer any questions you may have regarding your utility service charges. The utility customer service phone number is 614-901-6430. Voter Information – Franklin County residents may pick up voter registration applications at the Westerville Public Library, 126 S. State Street; the Westerville Clerk of Council’s Office, 21 S. State Street; or the Deputy Registrar, 17 Cherri-Park Square. Delaware County residents may pick up voter registration applications at the Westerville Clerk of Council’s Office, 21 S. State Street. For more information, visit the Franklin County Board of Elections and Delaware County Board of Elections websites. Water Main Flushing – Water mains are flushed each year to maintain water quality and ensure longevity. When mains and hydrants are being flushed in a particular area, water may appear slightly brown or red in color for a short time. If you have questions or concerns, contact the Westerville Water Division at 614-901-6770. Water Service – See Utility Services. Water System Maintenance – The Westerville Public Service Department maintains and repairs all water mains, valves and fire hydrants. Call 614-901-6740. Water Treatment Plant – Located at 312 West Main Street, the Westerville Water Treatment Plant treats up to 7.5 million gallons of water daily. Portions of this process include screening, softening, settling, taste and odor control, pH adjustment, filtration, fluoridation and chlorination. Call 614-901-6770. Water Testing – Westerville’s water supply is monitored continuously and tested every four hours to ensure that it meets or exceeds Ohio Environmental Protection Agency standards. Yard Waste – Yard waste is collected every Monday. Residents should place yard waste at the curb between 6 p.m. Sunday and 7 a.m. Monday. For more information, call 614-901-6740. Zoning Regulations – Land areas within Westerville are zoned for single family dwellings, multi-family units, offices, commercial and industrial uses. Zoning information is available through the City’s GIS webpage or the Planning and Zoningsection on the City website.